From the author of Subterranean Tales and Shadow Worlds comes an edgy, urban thriller steeped in Western debauchery and subterfuge. 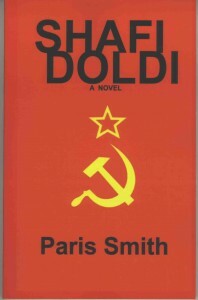 Paris Smith has created a work that examines the social decay and the evolution of capitalist amorality through the mind and soul of Shafi Doldi – a man determined to confiscate luxury with brutal diligence. Shafi Doldi originates in rural Islamic Ethiopia, travels to cosmopolitan Eastern Europe, and finally, into both Chicago’s upper chelons and its inner-city hells. This new novel details the corruption of Shafi Doldi’s existence as he succumbs to the vice of materialism.